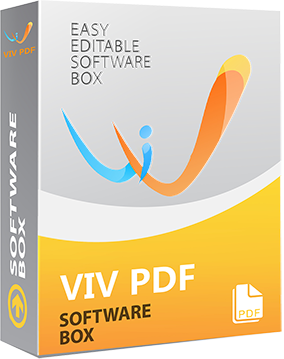 VivPDF is a professional PDF editing tool, specializing in the editing of file content, with comprehensive functions and ease of use. It is what-you-see-is-what-you-get editing. 1. Edit text, image and links in PDF document. 2. Create PDF file from over 200 file formats. 3. Standard PDF comment, stamp and sign and other functions. 4. Organize pages including split, merge, add and remove, rotate and crop single page and add header and footer, watermark and background and so on. 5. Add password or digital signature to protect the document. When I read this uses the Libre Office Draw program to do its work, I tried loading a PDF into Draw. Inside Draw I could edit and save everything. Took a long time to load and save, and the text font was different so all the text lines were too long (went off the right edge of the page). Fixable with a LOT of effort. I loaded the same file into VivPDF Editor. Quick load time. Everything (text and graphics) looked the same as the original viewed in PDF Xchange editor. I modified some text, moved a box, and flipped an arrow horizontally. Saved the file. Very fast. The saved file was a little smaller than the original. When I re-opened the modified file, the text change and box move were like I left them. The arrow was no longer flipped. Maybe it doesn’t save the last change made, maybe it doesn’t remember flips, I don’t know. I had a different experience with resetting my PDF preferences. 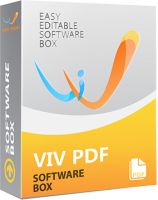 I unchecked the box “use VivPDF Editor as the default program” (or something like that) during installation, I want to keep PDF Xchange as my default PDF program. Nope, I got a popup saying there was an error setting my preferences and now MS Edge would be my default PDF program. Not good. Why ask if you’re going to try and change everything anyways. Uninstalling since I don’t know what other things you tried to change on my system. Needs more testing than I have time for today. Overall it looks easy and useful, but highly suspicious since it lied to me during installation. By the way, I’m using Win 10. 1. “gmon” is absolutely wrong: does NOT hijack PDF preference, but asks at setup time if it should! Having said that my all in all verdict is, it is not worth to pick it for just a one year license! – : Only offers us the “standard” version. – : Limited to licensing just one year! + : Is rather fast! The good is: you can get REAL editing function for PDF files by the “Draw” module of Open-/Apache-/Libre-Office: somewhat slower, but really working well and precisely! It did usurp my default PDF reader role. And the next time I tried to print an article, nothing happened. But these things were easily remedied. I brought up Control Panel >Printers & Faxes and changed back Default Printer and started printing again. When I brought up PDF-XChange Viewer, I clicked yes when it asked me if I wanted it as default PDF reader. I’m willing to put up with this temporary nuisance to get a program that will edit PDFs. I forgot to mention that I did uncheck PDF default during setup of VivPDF Editor. This software hijacks your pdf preference, so no matter what reader you have installed, this takes over and you can’t change it. You are quite right in that installing this product changes your existing pdf preferences. I would NOT call it hijacking because it is pretty much standard with all installs that if you already have a program that does a job and you install something else that does the same job, those preferences will apply. The same happened to me – it set itself as default pdf viewer without any prompt or notification. I reverted back to my default pdf viewer. Then I opened a document from within Vivpdf again, and it again hijacked and set itself as default viewer. It’s just unacceptable. Unistalled and one star from me!